Work as Part time or Full time REAL ESTATE AGENT from home! – join our real estate agent teams in BGC, MAKATI, PIONEER, QC and ORTIGAS. We are open to all who wants to become a part time real estate agent hiring jobs philippines. Contact us at 09175786869 (Arthur). just wanna know your qualification? interested here can apply as part time real estate agent hiring? Good day! To join us as part time real estate agent, you need to attend our real estate agent orientation seminar. Would you like to attend this coming Saturday? Pls text us at 09175786869.
i am willing to apply and train as full time/ real estate agent am benjamin jon e. pimentel 34, b.s.n graduate, ex ofw grew up in pasay. Im imterested as real state agent,im newbie. Do you have an office in the south? Las Pinas, Muntinlupa or Cavite? I want to attend there and join us part time real estate agent hiring. Good day! We still have no office in south area but soon we will have one. For the mean time, our office is located in QC area. I would like to invite you as part time real estate agent hiring seminar this coming Saturday. Please contact us at 09175786869 for confirmation. Good afternoon i am interested with your part time real state agent. the problem is i don’t have yet a laptop and wifi connection. is this part time job you offered always open to all the person wants to apply? We provide free use of internet on our office. Once you join us as part time real estate agent hiring, you can access all our tools, office and other resources for free. See you on our next real estate agent orientation seminar. I am very interested in joining a part-time real estate agent. What is my first step? How can I join your team, sir? Could you help me? I have a Business Marketing background. Good day! To join us as full time or part time real estate agent hiring in philippines, you need to attend our real estate orientation seminar this coming Saturday. Pls text us at 09175786869 to confirm. Im willing to apply as part time real estate agent hiring. I experinenced working in a call center – inbound sales account and i had undergone a lot of trainings when it comes to selling. Added to it are the trainings we had to deal with different personality types of prospect clients. I’m interested to join your team as part-time sales agent ASAP. im interested to join,i am currently working as surveillance officer in a huge multi million company. Hi Sir Arthur I am very interested with this.. Do you have schedule for real estate orientation seminar onwards? Can i apply as a part time real state agent? Hello ms Marge, good day! This is Arthur Olano of Olryt mktg realty. We are still accepting full time / part time real estate agent. This is a commission based only but we provide mentoring and free training to make the agent a skilled real estate seller. Is this ok with you? I would like to have a part-time job. Can I apply? Thanks. Good day! This is Arthur of Olryt mktg realty. We are still accepting full time / part time real estate agent. This is a commission based only but we provide mentoring and free training to make the agent a skilled real estate seller. Is this ok with you? What is your mobile number? You may contact me directly at globe/viber: +639175786869. I want to become part time real estate agent , what I will do ? gd am,,,im interested to attend your seminar tomorrow tnx..
Sir, Want to ask po sana where to apply a Part time Real Estate Agent? Hi! I am interested in applying as part-time real estate agent. I would like to know if there are also selling houses and lots in Rizal area? Please PM me at hangouts – jocelyn a or atejocel@gmail.com my id. Thank you. Im a full time mom with 3 kids and willing to undergo training to become a partime real estate agent. interested po ako na mag apply as part time real estate agent , kailan po ba uli ung seminar? I am very interested to join the group as part-time real estate agent. My contact number is 09189106xxx. Thanks. i would like to be part of your team. I’am 57 years old & a retired District sales manager from Zuellig Pharma Corp. I’am hardworking, customer oriented, result & goal oriented person. If given a chance i would like to extend my career in your company. Im willing to be part of your company as a sales agent, ang illing also for undergo training. hello. gudpm im Bashier m. Badron Im apply as part time agent as real state broker agent in condominium house lot sales markieng agent.im college graduate of MINDANAO STATE UNIVERSITY.A COURSe AB- SHARIAH LAW. and computer literate.this is contact cel#. 09484034108.and flexiablee worker.reply asap. Sir is it still available for part time job? Gtood day, I am very much interested to be a real state agent. Thats my dream when i was a child. I’m applying as Sales Agent Position at your Company. Based on the posted description, I’m sure that I am fully qualified for the position and will be a strong addition to your team. I would highly appreciate a job interview at your earliest convenience. Please Contact me on my Mobile Phone #09777424896 or on my Email Aiai.alangadi1@gmail.com. Where can i apply for part-time real estate agent here in alabang muntinlupa? Thank you and God bless you. To join us as part time real estate agent hiring in manila / rizal / cavite / laguna / bulacan. You need to attend our olryt startup accreditation seminar. For next schedule of seminar, you may call/text Arthur at 09175786869 (globe) or +639175786869 (viber). Thanks! I am very interested to become a part time real estate agent. I am now working as a sales rep with GSA – USA, I just want to know if I can do this homebased? I want to apply as part time real state agent. Great day! You can join us this coming Olryt Startup seminar this saturday. Please text me at 09175786869 for confirmation so that we can reserve 1 seat for you. Thanks! Hello. Is there a monthly salary or just a commission based? Hello sir Jeremiah, good day! This is Arthur Olano of Olryt mktg realty. We are still accepting full time / part time real estate agent. This is a commission based only but we provide mentoring and free training to make the agent a skilled real estate seller. Is this ok with you? Im willing to attend a siminar Im a sales supervisor in a recording company for 6years.ang tanong ko po ok lang po ba kahit wla akong experience sa realty.full time ang gusto ko sana. Hello ms Mesalina, good day! This is Arthur Olano of Olryt mktg realty. We are still accepting full time / part time real estate agent. This is a commission based only but we provide mentoring and free training to make the agent a skilled real estate seller. Is this ok with you? Hello ms Rowena, good day! This is Arthur Olano of Olryt mktg realty. We are still accepting full time / part time real estate agent. This is a commission based only but we provide mentoring and free training to make the agent a skilled real estate seller. Is this ok with you? Good day Sir! How to be part of your growing team as a Part Time real estate agent? Thanks in advance. Hello Lester, good day! This is Arthur Olano of Olryt mktg realty. We are still accepting full time / part time real estate agent. This is a commission based only but we provide mentoring and free training to make the agent a skilled real estate seller. Is this ok with you? Good day Sir Arthur Olano! is the part time real estate agent still available?I’m interested to apply sir. Thank you for your response. Hello ms Jenny, good day! This is Arthur Olano of Olryt mktg realty. We are still accepting full time / part time real estate agent. This is a commission based only but we provide mentoring and free training to make the agent a skilled real estate seller. Is this ok with you? Hello ms Joana, good day! This is Arthur Olano of Olryt mktg realty. We are still accepting full time / part time real estate agent. This is a commission based only but we provide mentoring and free training to make the agent a skilled real estate seller. Is this ok with you? Do you still need a part time real estate broker? I need a part time Job to sustain my Family. Week days: MWF 6-9PM, saturdays from 9am to 5pm, and on sundays from 1pm to 3pm. Do you have a part time job for me, given the schedules? Hope I can earn extra income. Hello sir Fernando, good day! This is Arthur Olano of Olryt mktg realty. We are still accepting full time / part time real estate agent. This is a commission based only but we provide mentoring and free training to make the agent a skilled real estate seller. Is this ok with you? 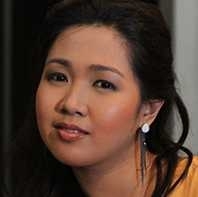 Hello ms Carmela, good day! This is Arthur Olano of Olryt mktg realty. We are still accepting full time / part time real estate agent. This is a commission based only but we provide mentoring and free training to make the agent a skilled real estate seller. Is this ok with you? Hello ms Laarni, good day! This is Arthur Olano of Olryt mktg realty. We are still accepting full time / part time real estate agent. This is a commission based only but we provide mentoring and free training to make the agent a skilled real estate seller. Is this ok with you? Interested for part time real estate agent.but I need someone to guide me and I’m willing to undergo in your training.thank you. Hello Emmaline, good day! This is Arthur Olano of Olryt mktg realty. We are still accepting full time / part time real estate agent. This is a commission based only but we provide mentoring and free training to make the agent a skilled real estate seller. Is this ok with you? Hello ms Abiegale, good day! This is Arthur Olano of Olryt mktg realty. We are still accepting full time / part time real estate agent. This is a commission based only but we provide mentoring and free training to make the agent a skilled real estate seller. Is this ok with you? what is your qualification for This part time real estate agent job? i am very much willing to join as a online part time real state agent hiring job from home may i know the details on how? How can I join your team as part time real estate agent hiring? Good day! To join us as part time real estate agent, you need to attend our real estate agent orientation seminar. Would you like to attend this coming Saturday? I want to become a part time real state agent. Hi! I am interested to apply for a Part time real estate agent.. I can be reached through this number: 09496340792.. I would highly appreciate your positive response..
can i want to attend your seminar tomorrow? Hi! I’m interested to apply. I’m an online English teacher and a 4th year college student. I am interested. May I know how? Hi. I’m interested to apply as part time real estate agent. When will be the next orientation? Thank you. How to apply sir/maam as part time real estate agent hiring job philippines? Hi, I am a full time employee. I just want to know your schedule of start up seminar in August. Hi! I’m in Cavite and currently working as call center representative as well as one of the sales team. I’m so interested to apply part time job but how to start? Hello ms Rufa, good day! 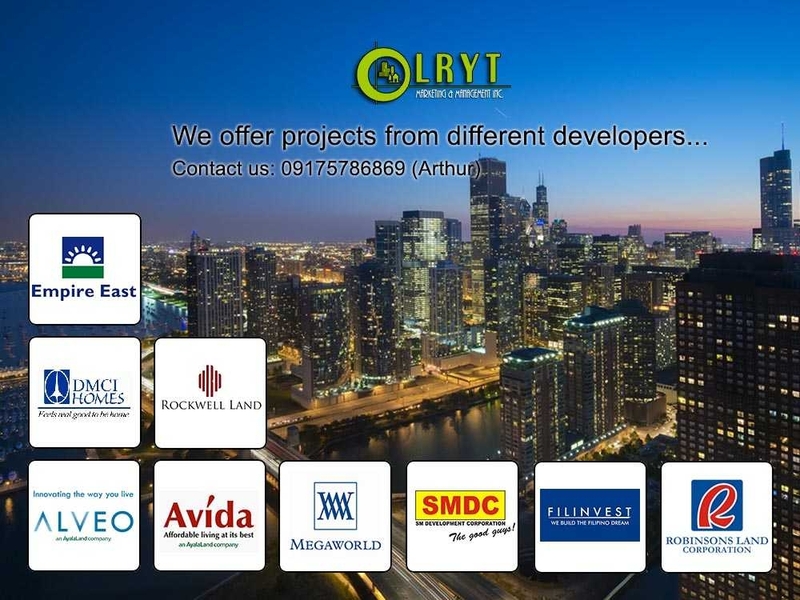 This is Arthur of Olryt mktg realty. We are still accepting full time / part time real estate agent. This is a commission based only but we provide mentoring and free training to make the agent a skilled real estate seller. Im very much interested to be one of your part time real state agent. GOODMORNING PO! i really wanted to be a real estate agent and become one of the top natch salesman Ive got 16 years of experience in school in developing a positive winning attitude 2yrs experience in working.Can you help me sir pls? Hi.i am very much interested with this kind of job as part time..but im here in occ.mindoro..im a farmer..can you help me to join with this job while i am here as a farmer? hi sir arthur. i am interested. when is your next seminar? thank u! Good morning Sir Arthur, may I know when and where the next training will be held? I just searched for this and missed your trIning yesterday. Thanks in advance. Just wana ask if this part time jobs for real estate agent still available even if im at home. Im from Laoag City, Ilocos Norte. Thank you and Happy New Year! Good day, sir! I’m interested for a part time job. May I ask when will be the next opening/best time to apply? Pwede po ba magapply ang grade 11 student 17year old? You hold trainings in these places? Is it ok if i will work only on Saturdays and Sundays? Is this commission based only? No fixed monthly salary? Hi, this is commission based only. I have 15 years experience as a corporate employee. I wish to go into the real estate industry staring off as a real estate agent. I am very good when it comes to dealing with people, hence I am very interested to work for your company. Please give me the chance for an interview. Thanks. Good morning! Willing to undergo training for real estate. What are the requirement? How to join? Thank you! I’m interested to be part of your team.I’m a BSEE graduate working full time as Site Electrical Engineer.44 years old.Well verse in computer software.Willing to invest my spare time to do real estate business. I would like to apply as a Real state agent. Interested here. Do you offer allowances? How to avail quarterly incentive? Hi, this is commission based only, but we do give big incentives. To join us as part time real estate agent hiring in manila / rizal / cavite / laguna / bulacan. You need to attend our olryt startup accreditation seminar. For next schedule of seminar, you may call/text Arthur at 09175786869. Thanks! Panu po mka apply as part time real estate agent hiring in manila? Hi Am Interested to be a real state agent. Hi Jen, first requirement to join is you need to attend our Olryt Startup seminar. It is a orientation and introduction of our company and what we offer to the joining agents. Would you like to attend on our upcoming seminar this coming Saturday? Hello ms Krystal, good day! This is Arthur Olano of Olryt mktg realty. We are still accepting full time / part time real estate agent. This is a commission based only but we provide mentoring and free training to make the agent a skilled real estate seller. Is this ok with you? Hi do you have upcoming free seminar? Thank you. Hello ms Grace, good day! This is Arthur Olano of Olryt mktg realty. We are still accepting full time / part time real estate agent. This is a commission based only but we provide mentoring and free training to make the agent a skilled real estate seller. Is this ok with you? Hello ms Cheryl, good day! This is Arthur Olano of Olryt mktg realty. We are still accepting full time / part time real estate agent. This is a commission based only but we provide mentoring and free training to make the agent a skilled real estate seller. Is this ok with you? Hello ms Azalea, good day! This is Arthur Olano of Olryt mktg realty. We are still accepting full time / part time real estate agent. This is a commission based only but we provide mentoring and free training to make the agent a skilled real estate seller. Is this ok with you? Can you please help me on how i can be a real estate agent? I have a job but i want to earn more. Hello ms Kimberly, good day! This is Arthur Olano of Olryt mktg realty. We are still accepting full time / part time real estate agent. This is a commission based only but we provide mentoring and free training to make the agent a skilled real estate seller. Is this ok with you? I am interested to apply i hope you could help me thanks. My globe number is 09568095497. I really want to have this kind of job..this is my dream but im only 1st year college undergraduate..is it ok?can i still i apply for the job? I am willing to attend your real state orientations..thank you sir and god bless..
Hello ms Glaisa, good day! This is Arthur Olano of Olryt mktg realty. We are still accepting full time / part time real estate agent. This is a commission based only but we provide mentoring and free training to make the agent a skilled real estate seller. Is this ok with you? how can i apply for part time real estate agent po. Hello ms Maryann, good day! This is Arthur Olano of Olryt mktg realty. We are still accepting full time / part time real estate agent. This is a commission based only but we provide mentoring and free training to make the agent a skilled real estate seller. Is this ok with you? Hello Larry, good day! This is Arthur Olano of Olryt mktg realty. We are still accepting full time / part time real estate agent. This is a commission based only but we provide mentoring and free training to make the agent a skilled real estate seller. Is this ok with you? Hi sir. Im looking for a part time job as real estate agent. Are you still hiring and may i know your qualifications sir? Hello Ramer, good day! This is Arthur Olano of Olryt mktg realty. We are still accepting full time / part time real estate agent. This is a commission based only but we provide mentoring and free training to make the agent a skilled real estate seller. Is this ok with you? Hello Ricardo, good day! This is Arthur Olano of Olryt mktg realty. We are still accepting full time / part time real estate agent. This is a commission based only but we provide mentoring and free training to make the agent a skilled real estate seller. Is this ok with you? Hello Danilo, good day! This is Arthur Olano of Olryt mktg realty. We are still accepting full time / part time real estate agent. This is a commission based only but we provide mentoring and free training to make the agent a skilled real estate seller. Is this ok with you? Hi Sir willing to become your real state agent . Are you still hiring for part time real estate agent hiring jobs in manila? Hello ms Lucy, good day! This is Arthur Olano of Olryt mktg realty. We are still accepting full time / part time real estate agent. This is a commission based only but we provide mentoring and free training to make the agent a skilled real estate seller. Is this ok with you? I am interested as part time real estate sales agent, how to join? To join us as part time real estate agent, you need to attend our real estate agent orientation and accreditation seminar. Please contact us at 09175786869(arthur). Good day!You are most welcome to join us as we are open for everyone who is willing to learn how to sell real estate properties. We provide mentoring and free training for you to become a skilled real estate agent. Please contact me immediately at 09175786869 for more info. Thank you. Hello ms Eilyn, good day! This is Arthur Olano of Olryt mktg realty. We are still accepting full time / part time real estate agent. This is a commission based only but we provide mentoring and free training to make the agent a skilled real estate seller. Is this ok with you? Hi Arthur, Do you have a part time real estate agent hiring seminar this coming saturday? I would like to attend.My friend is already part of you realty and currently sold many properties. I would like to be like her also, could you assist me on this? My number is 09395510297. Thank you very much! That is good to hear that you were inspired by your friend who is part of our realty already. Yes, we do have a seminar for full time and part time real estate agents hiring this coming Saturday 9am. Please contact me at 09175786869 to confirm your attendance. We are still accepting new joining part time and full time real estate agents, pls contact us immediately at 09175786869 for interview appointment. Good day! Regarding your laguna properties, please contact me directly at 09175786869. We can discuss it later. 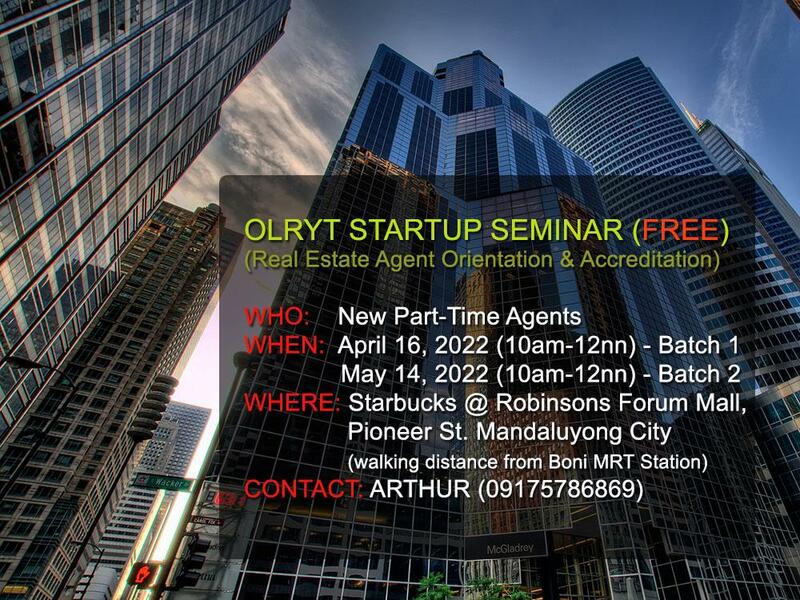 Hi Arthur, may seminar po this coming Saturday for part real estate agent hiring? Great day! We have a seminar orientation this coming Ssaturday for join real estate agent hiring jobs. For more info, contact us at 09175786869. Hi, I would like to join the part time real estate agent seminar this Feb.4. Pleases give an update through my e-mail. Thank you. I am in need of a broker as we are searching for office space in ortigas and makati area, can you help me with it? Can you recommend a good one please. Good day sir, I would like to apply as part time real estate agent hiring. How to join as part time real estate agent hiring philippine jobs? Sir Arthur good day! Any training schedule on weekdays or is there any upcoming schedule? I’m not available tomorrow. Good day! We do have sales training during weekdays and weekdays. We will discuss all your concerns during our par time real estate agent orientation seminar. Pls confirm your attendance by sending us text message at 09175786869. What are the requirements to submit when join your team as part time real estate agent hiring? Good day! To join us part time real estate agent hiring, you need to attend our real estate agent orientation seminar. Good day! We have our next part time real estate agent orientation seminar this coming March 18. Would you like us to reserve 1 seat for you? Please confirm your attendance by sending us a text message at 09175786869. Good day! Thank you for choosing us. I have personal message to you on how to join us as part time real estate agent hiring. Thank you and have a great day! You may contact us anytime at 09175786869. Hello Rosenkie, I have sent you a text reply. Thanks! Hi! I’m interested to be part of your part-time real state agent. how can I get response? HI I I am interested..
Good afternoon! I am interested to attend the training this coming April 8, 2017. Please confirm my attendance. Thank you! I’m very much interested to be a part of your team as part-time sales agent. A retired bank manager on my late 50s and a CPA here. I want to join your team Sir Arthur. Where to start? hi sir my friend is in real estate also. i would like to us im a single mother and a former registrar staff. i would to ask if i attend your orientation and semminar it means i will start work in your company? Hello, Sir/Mam, Good Day! do you still conducting seminar for real state agents? and what are your qualifications? i am a fresh Graduate and i am 32 years old. Hi! Are you still hiring? I am interested! I want to learn how to make sales approach to prospective client ? Hi do you have office near alabang , paranaque and Las Pinas? Hello, is there a monthly allowance for full time agents? any requirements to bring for seminar? Goodday sir! I’m interested to be part of your part-time real state agent. I’m currently working, but still for another way to earn an extra income. I’m only available during weekends. Is it still possible for me to join even if I already have a job sir? Thank you. I would like to join as a part timer agent. May I know when will be the next orientation or seminar? hi sir, i’m interested to the job .. but i’m only Highschool graduate.. but i’m willing to learn and adopt what the work environment i’m gonna been through. How about vocational course graduate and willing to be part of real state agent? Hi is there any payment for the seminar you offer? do I need to become professional real state brooker to join? No need to become a professional real estate broker. We are still accepting full time / part time real estate agent. This is a commission based only but we provide mentoring and free training to make the agent a skilled real estate seller. will there be more trainings upcoming? hi, i’m already a real estate consultant, am i still qualified for the job? I’m Interested, how can I join pls. Are you still accepting applicants? , I am still a third year Bachelor of science in accountancy student can I apply as a part time real estate agent ?. I am also interested on the said seminar this is my contact number 0949 890 3xxx thank you in advance. I am interested to this kind of work as part time real estate agent hiring job manila philippines. But I don’t have any idea how it works. I have a question first I hope you will answer this. My question is about the salary how are agents get paid? and what is 80,000, is this for part time agents? I hope you can send me a reply on my email, so I could ask more questions. Thank you. Hi good day sir, i’m interested to join as part time real state agent , how can i join? What is my first step? I’m willing to apply as a part timer real estate agent. but i have no experience in sales.but i have skills on online posting ads. Do you still have slot for part time agent? Kindly send me schedules of seminar, thanks. I’m interested to join in your team. how to apply as a part time real estate agent? Hello sir Mike, good day! This is Arthur of Olryt mktg realty. We are still accepting full time / part time real estate agent. This is a commission based only but we provide mentoring and free training to make the agent a skilled real estate seller. Sir, I’d like to try this kind of job to be a real estate agent but part-time only. Can you please tell me about this? I have an MKTG Skills since my last job was in Automotive Industry as a Mktg and Sales Staff. Thank you in advance! Hi Sir Lianburg, This is Armi Olano of Olryt mktg realty. We are still accepting full time / part time real estate agent. This is a commission based only but we provide mentoring and free training to make the agent a skilled real estate seller. Is this ok with you? What is your mobile number? You may contact me directly at globe/viber: +639771896869. When is the next orientation? Hi Sir,im interested to join on your team.How to apply? I am applying for part time real estate agent. I am interested to join in your team as part time real estate agent..
Hi Sir/Ma’am I’m looking for a part time job and i’d like to be part of your team, i just want to ask about the work schedules for part-time because i have a job and working with other company as a sales & marketing executive. Thanks ! Please let me know of your next and immediate seminar for real estate agent. I am interested to apply. I’m interested to apply as part time real estate agent, is this job still available? I am a teacher but I am interested for being a real estate agent how to apply? Available pa rin p ba ang hiring niyo for part timer real estate agent. Gusto ko pong mag -apply? Saan po mag aaply? First time sa ganitong field pero matagal na po sa sales. Dati po akong Sales Consultant and Promodisers. Thank you. Would like to apply for a part time real state agent, what do you mean by commission based only ? I just want to know if you’re still hiring, Im interested to be part of your team. By the way I’m an Accountancy graduate. hi im interested to apply as a part timer homebase agent but i dont have experience in real estate but i have sales experience. I am 61 year old Senior from San Pedro City, Laguna. Hi Jason, the benefits of being a full time real estate agent is that you can focus more your strategy and energy into making sales and marketing. Hello ms Miracle, good day! This is Arthur Olano of Olryt mktg realty. We are still accepting full time / part time real estate agent. This is a commission based only but we provide mentoring and free training to make the agent a skilled real estate seller. Is this ok with you? Hello, Is this job commission based or do employees get to have salaries? Hello ms Candy, good day! This is Arthur Olano of Olryt mktg realty. We are still accepting full time / part time real estate agent. This is a commission based only but we provide mentoring and free training to make the agent a skilled real estate seller. Is this ok with you? Hello sir Rusty, good day! This is Arthur Olano of Olryt mktg realty. We are still accepting full time / part time real estate agent. This is a commission based only but we provide mentoring and free training to make the agent a skilled real estate seller. Is this ok with you? Hi Sir I am interested to apply as Real Estate agent. Hi Sir I am interested to apply as Real Estate agent. I am now seeking for a right job. And I think I would be better for me. Hello ms Jonabel, good day! This is Arthur Olano of Olryt mktg realty. We are still accepting full time / part time real estate agent. This is a commission based only but we provide mentoring and free training to make the agent a skilled real estate seller. Is this ok with you? Hi I wanted to apply as part time real estate agent? Hello ms Vicky, good day! This is Arthur Olano of Olryt mktg realty. We are still accepting full time / part time real estate agent. This is a commission based only but we provide mentoring and free training to make the agent a skilled real estate seller. Is this ok with you? Hello, hiring parin po ba kayo? Hello ms Gracelyn, good day! This is Arthur Olano of Olryt mktg realty. We are still accepting full time / part time real estate agent. This is a commission based only but we provide mentoring and free training to make the agent a skilled real estate seller. Is this ok with you? Hello Rio, good day! This is Arthur Olano of Olryt mktg realty. We are still accepting full time / part time real estate agent. This is a commission based only but we provide mentoring and free training to make the agent a skilled real estate seller. Is this ok with you? Im interested in part time real estate agent hiring jobs in manila. I finished senior high school and now I am first year college. Am I still qualified? Hello ms Erizza, good day! This is Arthur Olano of Olryt mktg realty. We are still accepting full time / part time real estate agent. This is a commission based only but we provide mentoring and free training to make the agent a skilled real estate seller. Is this ok with you? I’am interested for a part time real estate agent hiring jobs in manila are you still hiring sir! Hello Alex, good day! This is Arthur Olano of Olryt mktg realty. We are still accepting full time / part time real estate agent. This is a commission based only but we provide mentoring and free training to make the agent a skilled real estate seller. Is this ok with you?